He was 42 when he achieved this feat. 23rd June 2017 falls on a Friday and is only 2 days away from the longest day of the year. Assuming no cloud cover there will be an almost full moon this night. And so after years of procrastinating I have decided that on this date I will attempt to follow in his footsteps and run 66 miles over the 42 highest peaks in the Lake District ascending 27,000 feet in the process within 24 hours. I won’t go into the detail of the Bob Graham Round here (this is a particularly good site for those interested in the details of the challenge : http://bobwightman.co.uk/run/bob_graham.php ). The purpose of this blog is to record my thoughts and details of my preparation for the attempt, mainly for my own benefit to reflect on, but also to anyone else who is interested in fell running and the round. So first of all, what is my fell running background? I’ve been running and racing in the fells for approximately 6 years (and walking in them for at least 30) – I love running and I love mountains so it was a natural progression for me. 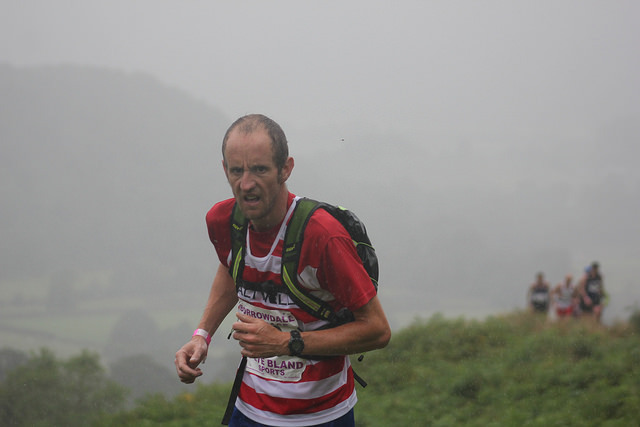 I’ve ran in the Cheviots, Simonside hills, Pennines, Yorkshire Moors & Dales, Welsh mountains, Scotland and the Lake District – the latter being my favourite but also the toughest in terms of terrain. I really do enjoy it, although I have a few demons in terms of racing as I’ve never been able to translate my road speed into the fells and I struggle on technical terrain. So why the Bob Graham? It’s a challenge I’ve had in the back of my head for around 5 years now, I can’t actually remember where I first heard of it but I after reading Feet in the Clouds I knew that it was something I wanted to do one day. I’ve reccied all the legs a number of times, but always found a reason not to commit to it. Then this year I was totally inspired by Paul’s successful attempt and following that I decided next year was going to be the year (hopefully….). The first one I can do nothing about so no point dwelling on that. The second point is linked to the next 2 – if I can do the training sessions I need to do in order to improve my technique and endurance then I’m in with a chance.